In May of 1959, production began on the George Pal film version of H.G. 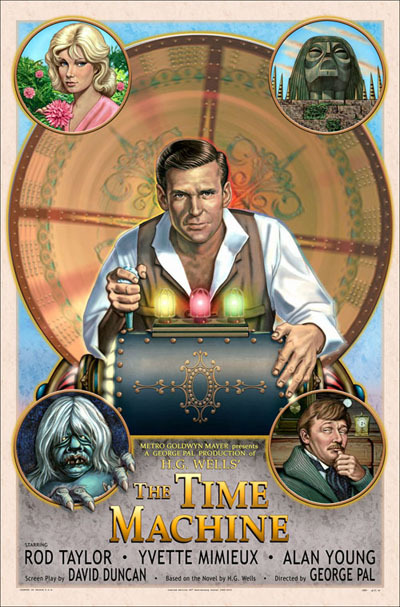 Wells The Time Machine. David Herfel has brilliantly created a new poster image to celebrate this classic science fiction film. This numbered Limited Edition poster is now available in two sizes (a 27X41 One Sheet size at $60, and 20X30 size at $40). A total of no more than 500 giclee prints will ever be issued.